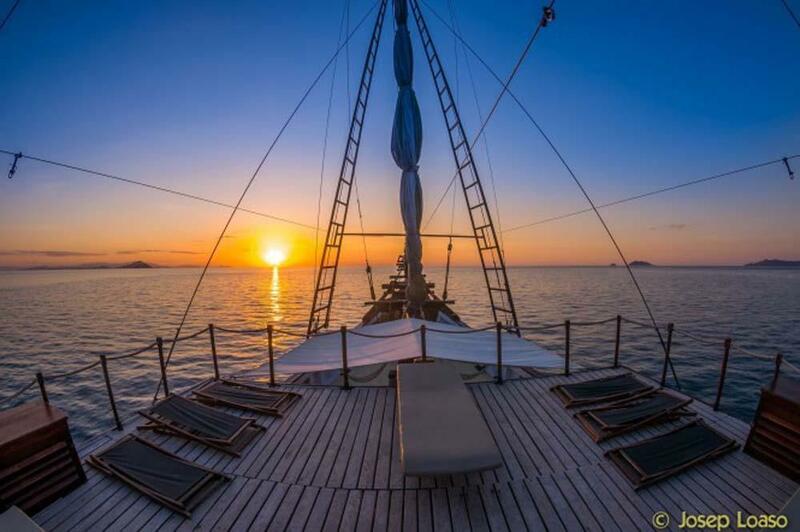 SMY Ondina is a classic style Phinisi schooner that is in fact a 21st century motor yacht. 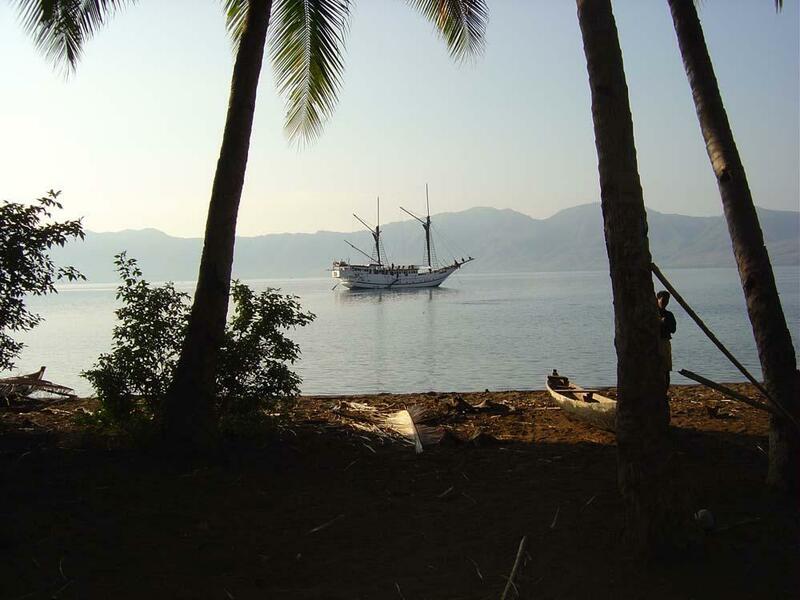 Its design is similar to most other Phinisi boats, hand-made in Sulawesi by experts with centuries of experience. 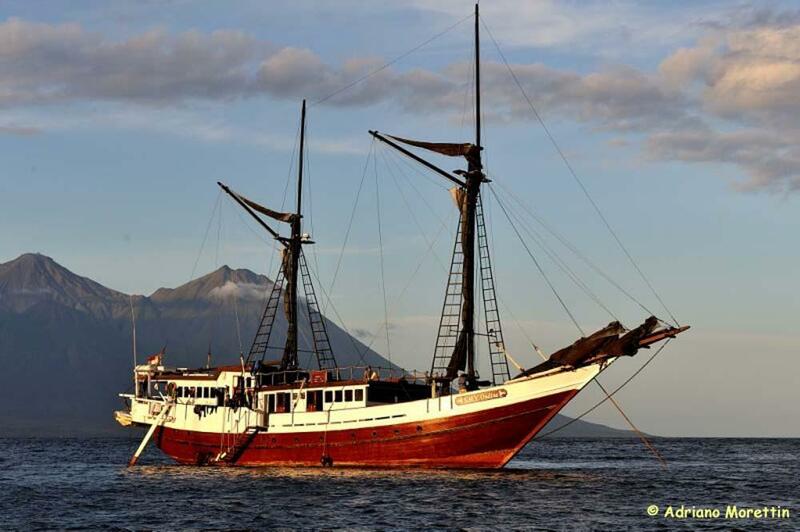 Named after mythical water nymphs, Ondina was launched in 2001 with a complete set of safety and navigation equipment and by a team of experienced divers who live for the exploration of Indonesia’s best diving areas. 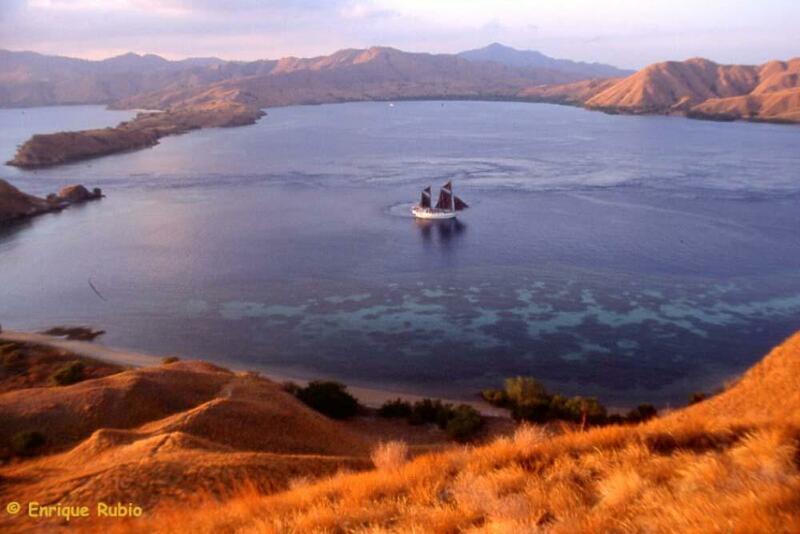 Much of the diving is enjoyed around Komodo & Papua, but there are cruises to all the hidden corners of this remarkable archipelago. 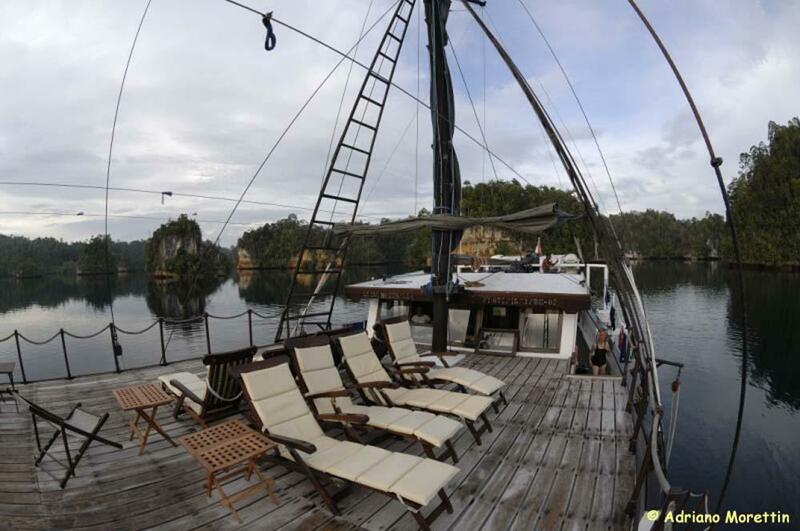 Experience in Raja Ampat & Komodo diving is just part of what makes this boat and crew so special. 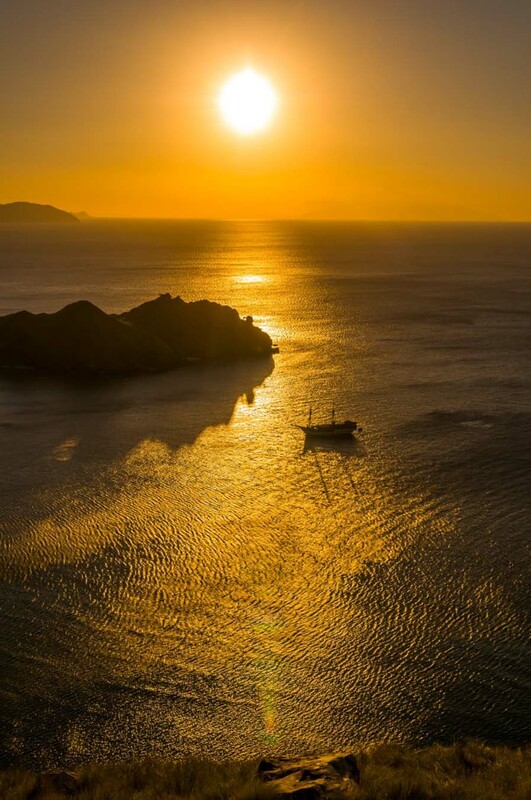 With the vast amount of experience of the whole team, each trip is unique and the itinerary tailored to suit the needs and requests of the guests on board. 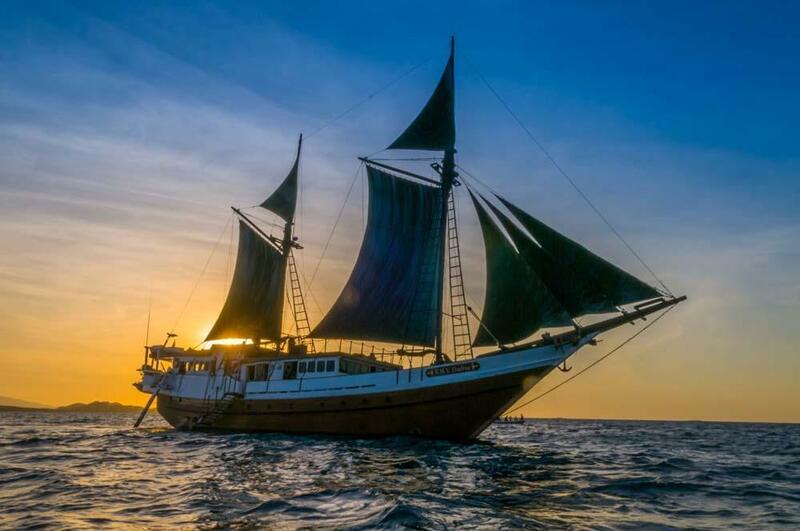 Each cruise is a new adventure, sometimes visiting villages whose members may never have seen westerners before, guests helping with the sails, or undiscovered species being seen or even photographed. 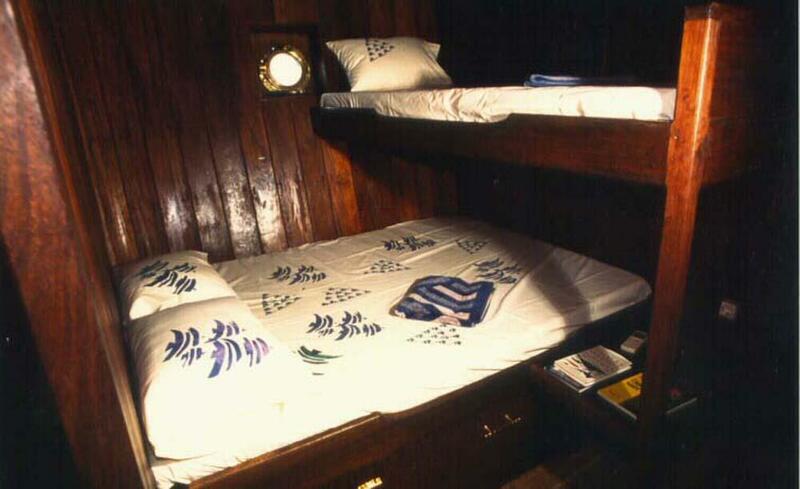 The boat has 8 passenger cabins, all of which are normally shared by two guests, but if a child or non-diving guest needs to be a 3rd person in a cabin, that is usually possible. 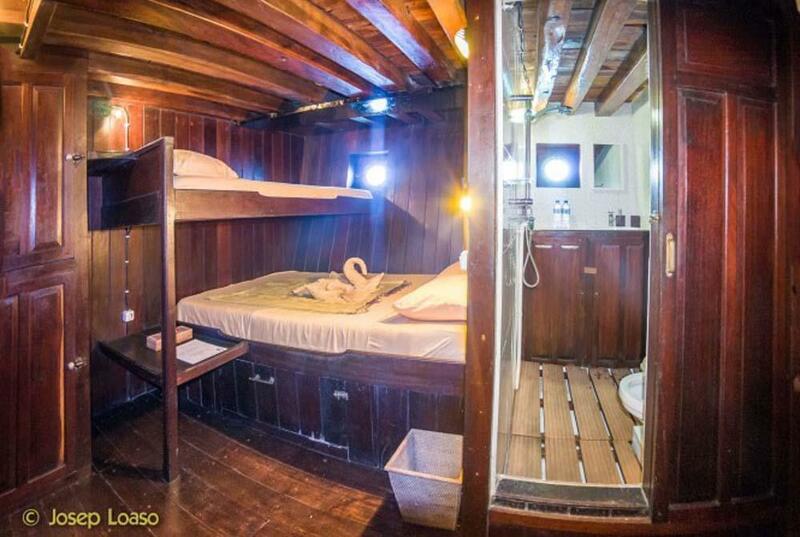 Each cabin has air-conditioning and its own private bathroom with freshwater showers and a hand basin. Communal areas include a large sundeck and outdoor dining area, as well as an air-conditioned dining room / saloon lounge. The team of staff and crew is experienced and service minded, and can sometimes number as many as there are guests on a trip. Everyone is there to ensure that each moment of the cruise is one to remember. 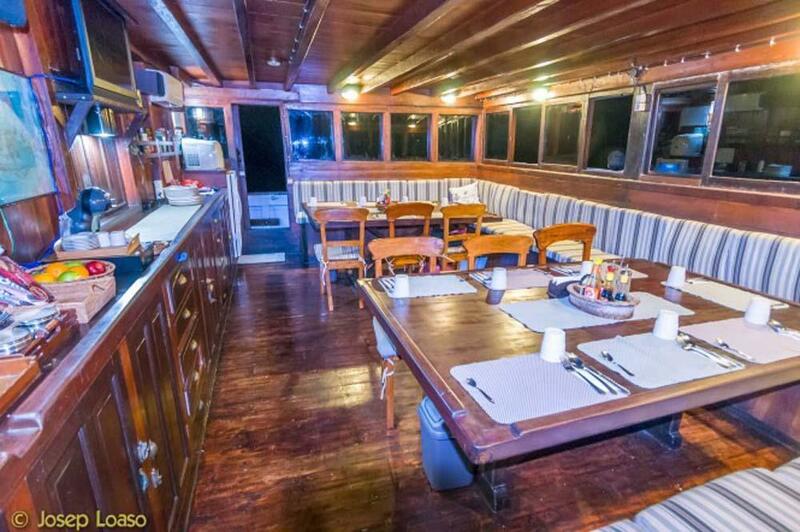 This includes kitchen staff & boat boys, as well as Divemasters and the captain. On some routes there is even a masseuse offering local massages to lucky guests. The boat was designed by divers, for divers. 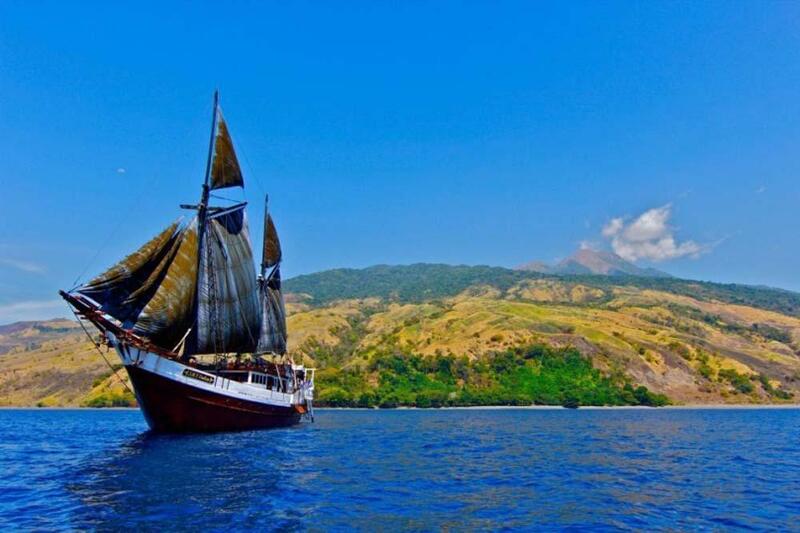 Using local teak and ironwood, the Sulawesi craftsmen created a well-thought-out vessel that has a large equipment room with personal space for every diver, and rinse tanks, large workbenches & 24-hour electricity for photographers. There are two staircases which lead down to the dinghies, and guests just step in and go diving. The crew will have already transported the heavy gear to the three diving tenders which can effortlessly drop divers off directly above the reef and collect them immediately as soon as they surface. SMY Ondina also has a Nitrox blending membrane for certified divers. 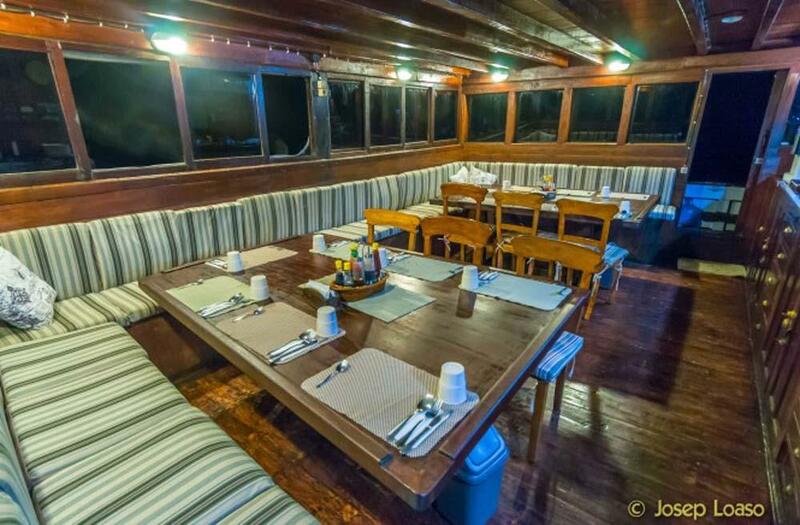 The food served on SMY Ondina is a delicious blend of local and western cuisine, and beer & soft drinks are available for reasonable rates. 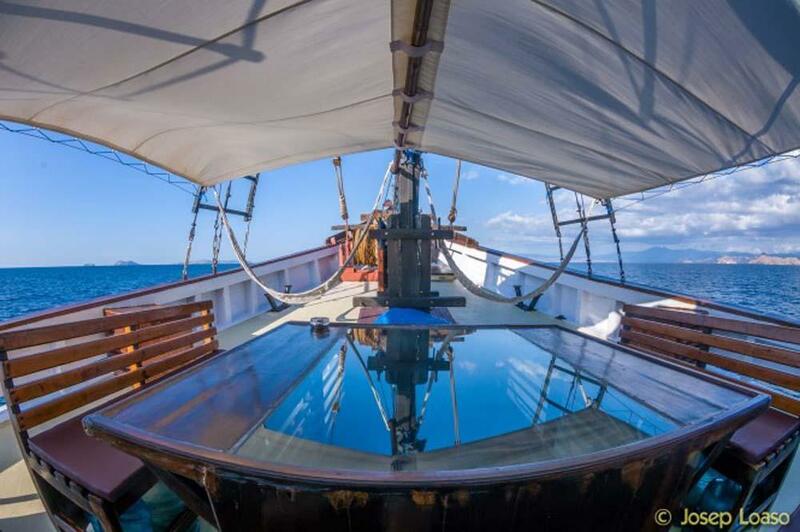 Guests who want to bring their own wine or liquor on board are very welcome. The itinerary of each SMY Ondina trip is unique, and ever-changing. However, this is far from saying that no planning is involved. In fact, it’s quite the opposite. 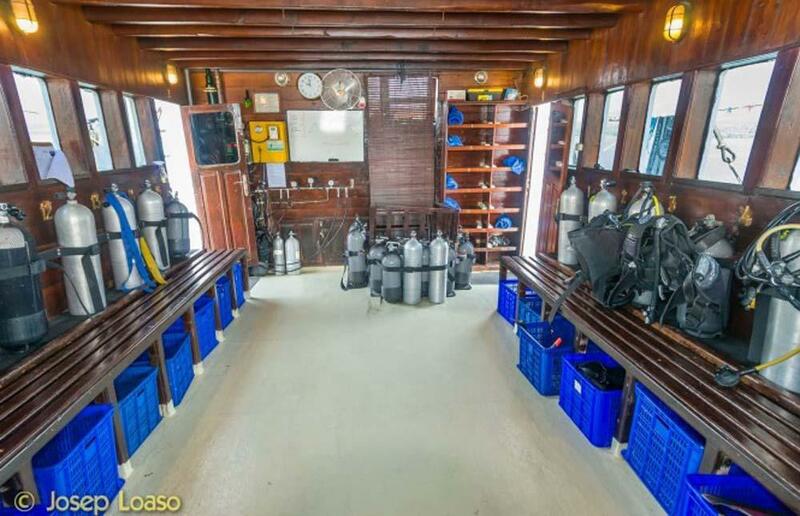 Each trip is set for a particular number of days and nights, and the number of dives is usually 3 per night/day. That doesn’t mean that each day has three dives, because some have two and others four. The cruise leader and captain also have a plan for each trip, well in advance. Factors that may cause changes in their planned itinerary are as follows: sea conditions, weather conditions, recent special marine life sightings, dive certification level & experience of the guests, other boats being at a dive site, local government and/or cultural activities. A typical diving day includes 3 to 4 dives at locations chosen to offer the maximum safety, enjoyment and time underwater for each Ondina guest. 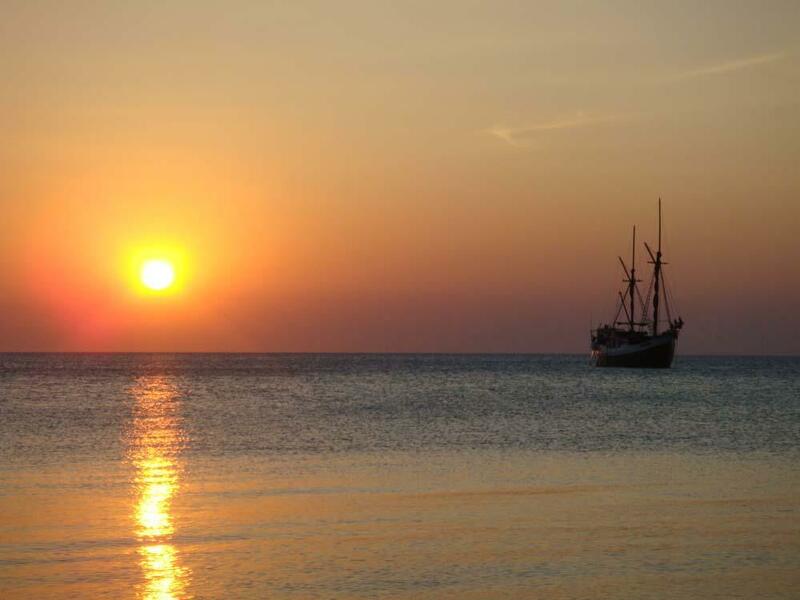 Sometimes the boat sails through the night, and at other times through parts of the day. The first day of each cruise is for joining Ondina at lunchtime and taking part in a check dive or two. The final full day aboard usually only has morning dives so that guests can fly soon after they leave the boat the following day. Hull: Teak & Tropical Wood. Electricity: 220v Around-the-clock. Three Generators. Two Round Pins Sockets Eu Std. Water Supply: Watermaker Plus 10-Tn Deposits. Navigation: Depth Finder, GPS Plotter With C-map Marine Charts AndRadar 16 Miles Reach. Communication: Radio Multiband SSB, Radio VHF GMDSS System, Handheld Radios ICOM VHF, Satellite Telephone THURAYA For Private Communications In The Most Remote Locations, Satellite Telephone ERICSSON R190. 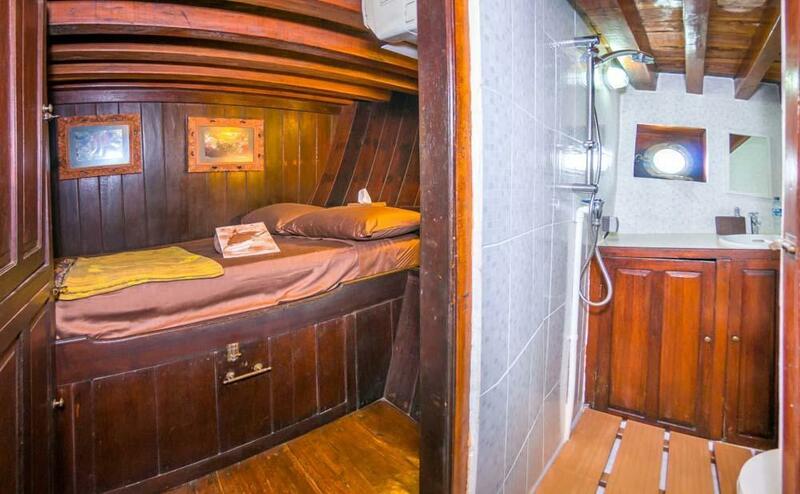 Cabins: 6 Triple And 2 Double Cabins All With Ensuite Freshwater Shower, Hand Basin, Toilet And Air Con. For 16 Divers Maximum Capacity. Safety: First Aid Kit, Oxigen Onboard Plus Emergency Evacuation DAN Oxygen Unit”, Hiperbaric Chambers In Makassar And Bali, 2 Rescue Rafts 30 Pax, Life Jackets, Fire Extinguishers, Flares, Fare Gun. PADI diving courses are available on SMY Ondina, and these include AOW (PADI Advanced Open Water) and speciality courses, especially Nitrox Enriched Air. Please let us know well in advance of any courses that you may be interested in so that we can confirm availability and prepare materials, equipment and staff in your preferred language (when possible). SMY Ondina guests receive free scheduled transfers on the first and final day of each cruise. These transfers are from (and back to) local hotels and the nearest airport. On embarkation day, guests need to be in the pickup zone by 12:00 midday, so that everyone can board the boat in time to sail in the afternoon and hopefully enjoy a check dive or two before the first night’s sleep on board. On disembarkation day most guests are transferred immediately after breakfast, and have already completed the necessary 24-hour no diving period by lunchtime or early afternoon. 12:00 midday is the latest disembarkation time so that the boat can be prepared for the next trip. Rental equipment is available for hire on SMY Ondina, but there is a limited quantity, especially in very large or small sizes. Please inform us as early as possible about any equipment you may need to hire, and in what sizes.